It is designed with patients in mind. In-Ovation has a cleaner, more aesthetic appearance than traditional braces so you can look your best both during and after treatment. Its unique Interactive™ technology allows your doctor to gently achieve the precise results needed for optimum facial proportion and harmony. In-Ovation was also designed for greater comfort with its smooth edges and a lower profile. 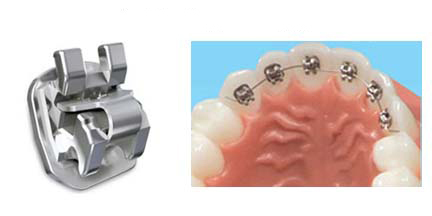 With In-Ovation system braces, achieving a beautiful, healthy smile is fast and comfortable… an altogether highly attractive process. Our patient-friendly design means that you have less chairtime, reduced discomfort and far fewer appointments than with older style braces. Plus you have the cosmetic benefits of self-ligation — braces that do not need ties or “O” rings that can collect food and moisture for a cleaner look and a healthier smile. 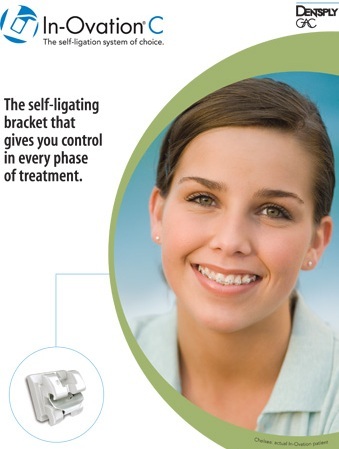 In-Ovation self-ligation system is gentle. It uses a free-sliding technology which places little to no pressure on your teeth. As a result, your treatment not only takes less time and requires fewer appointments but is far more comfortable than with traditional fixed-wire braces.